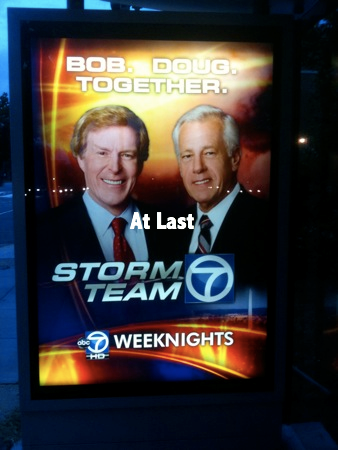 (In the Whole Foods parking garage at Tenleytown). 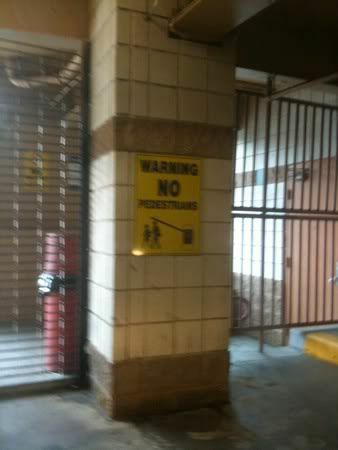 Any pedestrians in this area will be summarily hit in the head with the gate arm. (Somewhere around 6th and E). 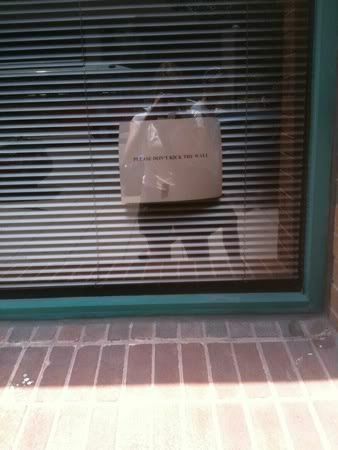 This sign says "Please Don't Kick the Wall." Is this a major problem, people kicking that particular wall? Come to think of it, when I saw that sign I had a peculiar urge to give the wall a kick. 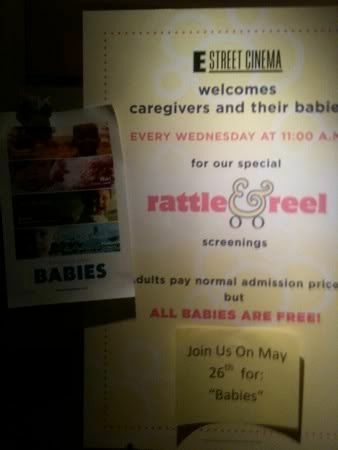 This was advertising a special movie event at E Street Cinema where you could bring your baby to watch the film "Babies," a documentary film about babies. So there are babies crying on screen and in the theater. No thank you. Talk about an echo chamber! 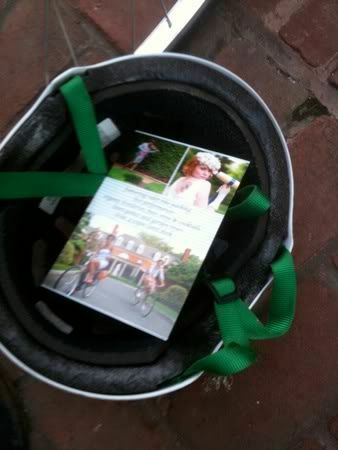 When I came back to unlock my bike one day in Dupont Circle, I found a flier nestled in my helmet advertising the D.C. Seersucker Ride. Now that's targeted advertising. Speaking of helmets, my friend asked me if I was worried leaving my helmet locked up with my bike on the street. "No, why should I?" I said. "I dunno... You're not worried someone might pee in it or something?" she said. This thought never ever would have occurred to me in a million years. Why would someone do such a thing? Am I so naive? Are we really living in a helmet-peeing-on world? 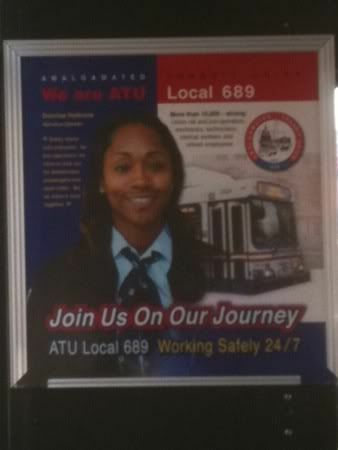 When I first stared at this on an early morning bus ride, I thought, hmm I wonder why they picked a lady with a mustache to be the face of the ATU Local 689? There weren't any female bus drivers without mustaches who wanted to model? But couldn't she have waxed her mustache on the day of the photoshoot? Oh. Someone drew that on the poster. Ah, yes. In that spirit, I added a couple words to this poster with Mac Paintbrush. Can you guess which ones? June 29, 2010 by Adele Chapin.